This is the eBook of the printed book and may not include any media, website access codes, or print supplements that may come packaged with the bound book. 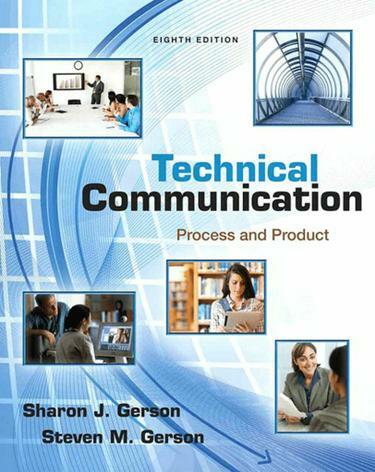 Technical Communication: Process and Product, 8e by Sharon J. Gerson and Steven M. Gerson, provides a proven, complete methodology that emphasizes the writing process and shows how it applies to both oral and written communication. With an emphasis on real people and their technical communication, it provides complete coverage of communication channels, ethics, and technological advances. This edition includes information on dispersed teams, collaboration tools, listening skills, and social networking. Using before/after documents, authentic writing samples and skill-building assignments, the book provides a balance of how-to instruction with real-world modeling to address the needs of an evolving workplace.